With more than 25 years of experience throughout the river towns, our reputation precedes our work. Our crews are very curtious and knowledgeable. References are always available upon request. Please see our testimonials. At the end of the job we leave those rooms that were painted clean as if a cleaning company came in. 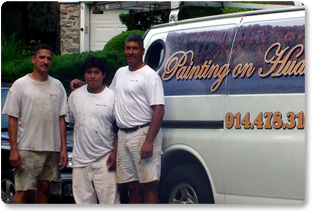 Whether you decide take a vacation during the project or you prefer to stay at home, you and your home are always in good hands with Painting on Hudson.